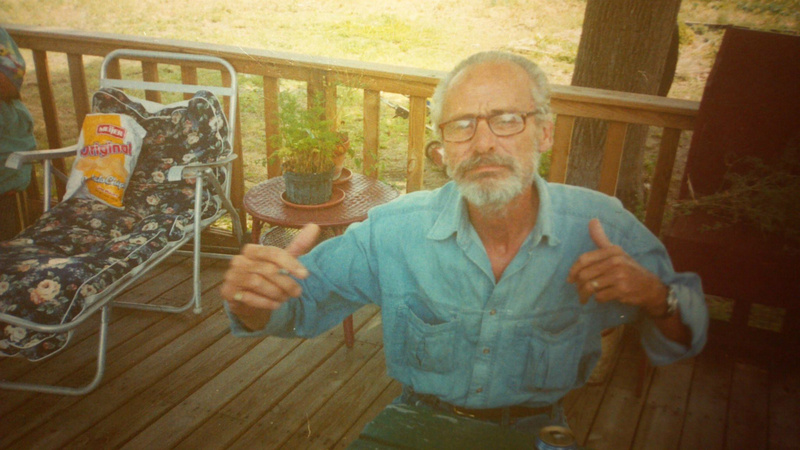 Dad has been gone almost ten years now. It is amazing how fast a memory can transport us back in time. This day, I was about 16 or 17 again. Our house exploding at it's walls with 8 children, a dog and my parents in a tiny little duplex on the south end of Toledo. My siblings so young, as I. I stare and stand transfixed, lovingly touching the piece of furniture that my father had handcrafted at least 40 years ago, finding it's way to a barn full of antiques and vintage wonderments. I ponder about how many homes this piece may have been. Dad had emphysema and hadn't made furniture in several years. The style and the nature of dad's emphysema, date this piece. My brothers carried on the art of creating furniture from wood and using the talents my father taught them. I see the extra detail and his signature wooden hinges with square nails, and of course, the stress marks. Dad would have the kids pull the wood or part of the furniture down the alley over the stones to achieve a stressed or aged look. We worked out of a small garage at that time and sold at local craft shows and flea markets. I am immersed in the memories, smelling the fresh wood, stains, paints and feeling the love I have for my family. It's JoyJul. Thank you David for purchasing the piece. My funds were low and it broke my heart to walk away from this "piece of our father" in hopes that it would be there when I could buy it. I am happy that you were able to purchase it and it is now has a home with one of our family.